Glasgow’s Kelvingrove Art Gallery and Museum is currently hosting an exhibition centred on an often overlooked period in our city’s history. How Glasgow Flourished looks at the city during the Georgian era (1714-1837), a time when Glasgow’s businessmen made vast fortunes through international trade (and sometimes slave labour), and ordinary Glasgow residents set the stage for the Trade Union movement by campaigning for better working conditions. If you’ve already visited the exhibition, you might have noticed the inclusion of a small portrait of William Cullen (1710-1790). Cullen was a Scottish physician and chemist, and served as President of the Faculty of Physicians and Surgeons of Glasgow from 1747 to 1749. Born in Hamilton, about 10 miles from Glasgow, Cullen began his medical career as an apprentice surgeon under John Paisley, who was then the librarian of the Faculty of Physicians and Surgeons and had a large general practice in Glasgow. Following his apprenticeship, Cullen moved to London and found work as a surgeon on a merchant ship sailing between the English capital and the West Indies. He held this post for about 3 years before returning to Scotland and setting up a general practice of his own. This was fairly lucrative work, and Cullen could quite comfortably have kept up this work for the rest of his career. However, he was keen to improve his medical knowledge and decided to go to Edinburgh to study at the University Medical School. 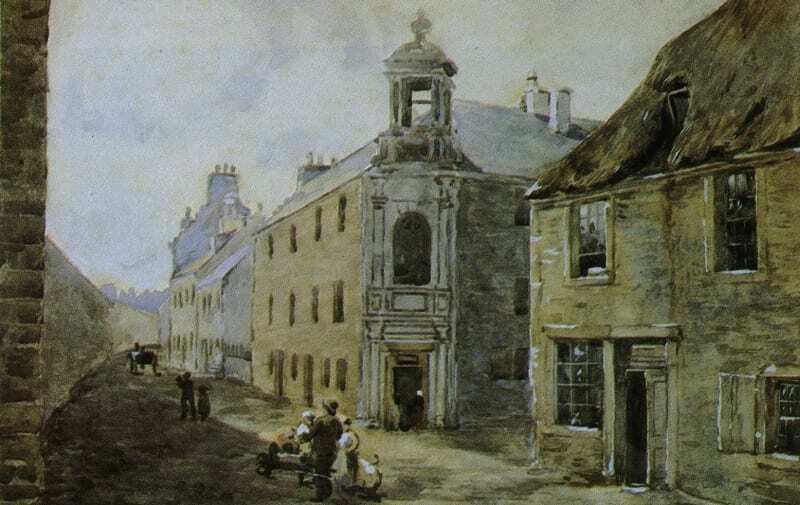 William Cullen’s house in Castle Street, Hamilton. Artist and date unknown. After 2 years of study in Edinburgh, he returned to Hamilton and continued to enlarge his medical practice there. He began to take on apprentices, including the young William Hunter (who ultimately moved to London and went on to become the famous physician-surgeon, “mad-midwife” and anatomist). In 1740, Cullen graduated with an MD from Glasgow University, and moved to Glasgow in 1744 with the intention of teaching medicine in a similar fashion to the teaching he had received in Edinburgh years before. At first his lectures were given independently, but he was soon invited to deliver lectures on behalf of the University. Portrait of William Cullen. This is a copy of the portrait in Glasgow University by W. Cochrane. Cullen’s lectures were considered somewhat unusual for their time; he referred to his notes and spoke to his students in English, unlike his colleagues who mostly read out their lectures verbatim in Latin. He planned to bring Glasgow’s medical teaching in line with the school in Edinburgh and decided that, with the exception of anatomy, he would have to teach a wide range of subjects himself. In 1747 he started teaching chemistry, and the following year added materia medica and botany to his curriculum. For these reasons, Cullen is seen by some as the real founder of the Glasgow Medical School, and he became Professor of Medicine at the University in 1751. Cullen eventually moved to Edinburgh in 1755 to take up the post of Professor of Chemistry at the University there, and he remained in the capital until his death in 1790. His time in Glasgow, however, played a significant role in his development as a medical practitioner and as a lecturer, as this is where the foundations of his knowledge and later reputation were laid. 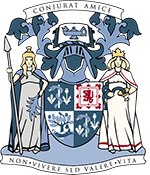 Cullen’s contribution to the city of Glasgow is also significant, because of his work in establishing the city’s successful medical school, and because he was such an important figure in the Scottish Enlightenment. 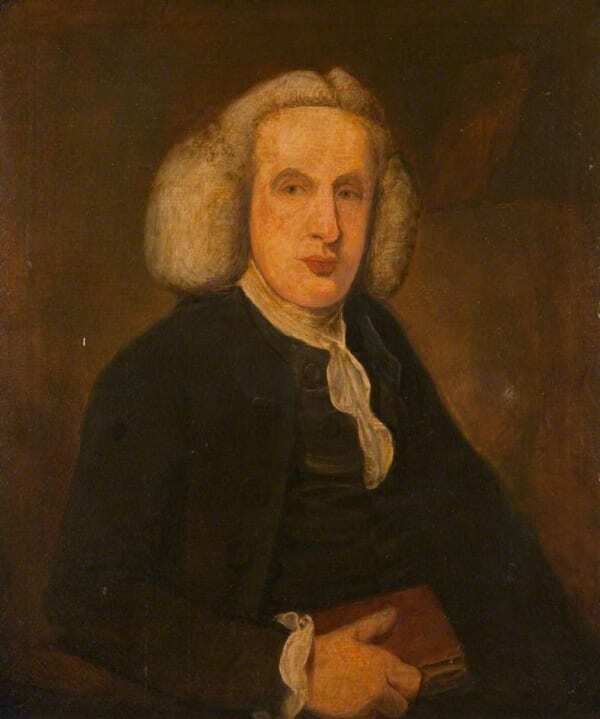 It’s also worth pointing out that William Cullen was also a successful author, writing on subjects as wide ranging as medicine, physiology, and agriculture. His publications appeared in English, French, German, Italian and Latin, and the College Library still holds several volumes of his medical works. How Glasgow Flourished is at Kelvingrove Art Gallery and Museum until 17th August, and more information is available from the Glasgow Museums website. Glasgow University and the Royal College of Physicians of Edinburgh are also running a project to digitise Cullen’s medical correspondence – more information is available from The Cullen Project website.